Open House Dates, & New Classroom Preview! After a wonderful few months in our temporary classroom at the Frances Anderson Center, WECP is getting ready to move to our new, permanent home. We are thrilled to have found a beautiful new classroom space at St. Alban’s Episcopal Church, just off the Five Corners Roundabout in Edmonds. The classroom is in a free-standing building adjacent to the church itself, and offers us the opportunity for a longterm home that we can really make our own. We’re all very excited about it! While we haven’t officially moved in yet, we will be conducting our Open House for the 2019-20 academic year over in our new space, to give everyone a preview of the school year to come. We hope you’ll be able to join us! As always, please feel free to reach out with any questions. Coming Up: 2019-20 School Year Registration! Hi to our current WECP families, and welcome to any new families popping by to check us out! As many of you know, Registration for next school year is just around the corner. If you’re new to preschool registration, you may be surprised to hear that families register in February for the upcoming academic year. Schools and classes do tend to fill up right away, so if you want to avoid the wait list, it’s a good idea to note the registration dates and mark your calendars! You can visit our Registration Page for details and to link to our online registration portal. And please stay tuned for an update with more instructions as the dates get closer. 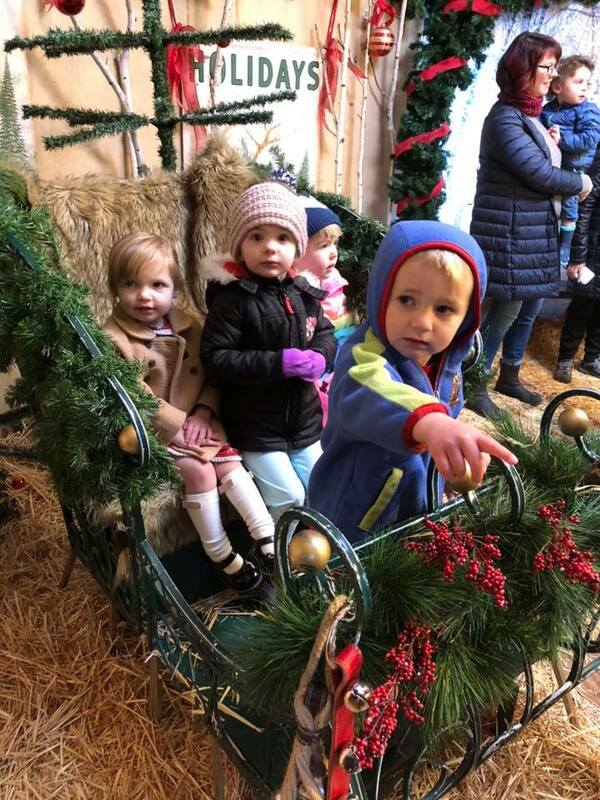 Last week, the 2’s class enjoyed a seasonal adventure to Swanson’s Nursery for their annual Reindeer Festival. The kids had a great time admiring an elaborate model train set-up, learning about Christmas trees, and meeting Santa Claus—or running from him! This month, our dramatic play area is set up as a Pizzeria. The kids have been having a wonderful time taking orders, setting the table, and making and baking pretend pizzas. But there’s nothing better than the real thing! A big thank you to Sparta’s Pizza for making pizza chefs out of all of us. 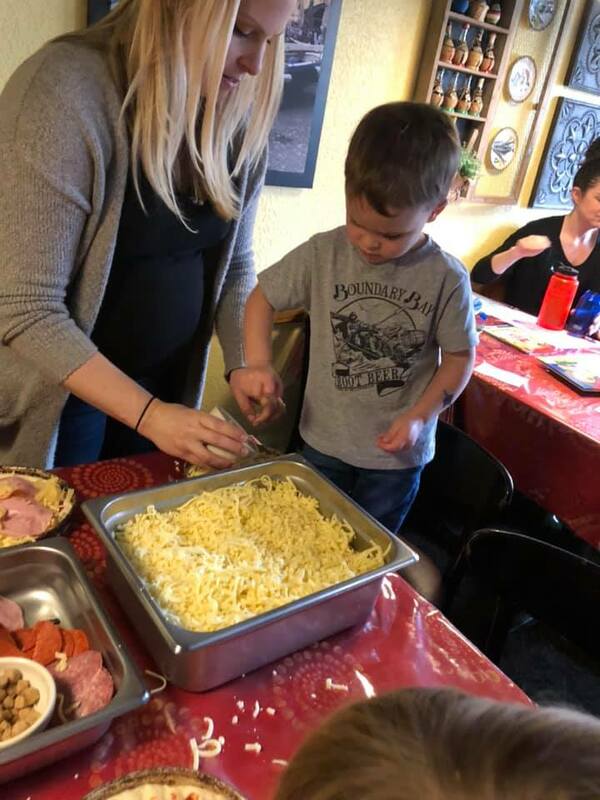 During this month’s field trip, we made our own personal pizzas—complete with fun toppings and LOTS of cheese—we got to take a tour of the pizza kitchen, and we got to eat our pizza creations! It was such a fun day. Our classes enjoyed their October field trips to The Farm at Swan’s Trail. The kids chose their own pumpkins, explored a hay maze, played in a big pile of corn, and met some friendly farm animals. Thanks for coming! We're delighted to be spending part of this school year in our interim classroom at the Frances Anderson Center, which we'll use until it's time to move to our permanent location. The Frances Anderson Center is a community center in the middle of beautiful downtown Edmonds. Its central location makes it easy for off-duty parents to squeeze in a little shopping or relaxation time while the little ones are in class. Looking forward to seeing you all there!